It’s everyone’s least favorite part of coming home. You stumble in the door after another late night of work, and fumble around for the light switch. Wouldn’t it be great if the light could just flip on as soon as your open the door? Then, of course, we have to worry about electricity usage. It’s easy for our monthly power bills to quickly get out of control unless we’re conscious about how much power we’re using. One of the easiest ways to save on your power bill is to turn the lights off in rooms we’re not using. Both of these problems can be solved with motion sensor light switches. These handy little devices are quite simple in nature. 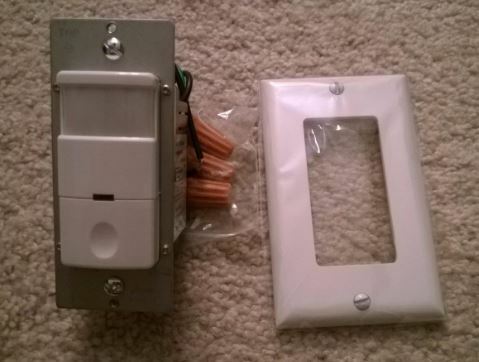 Simply install them where your regular light switch goes, and they’ll automatically turn off if no motion is detected. Unfortunately, you can’t just pick up any old model and call it a day. You have to choose carefully or you’ll run into some serious problems. For starters, inaccurate and insensitive motion sensors mean that the lights might shut off while you’re still in the room. Others will have you waving your hands in front of them, desperately trying to get the lights back on. Fortunately, there are a few high-quality models out there. 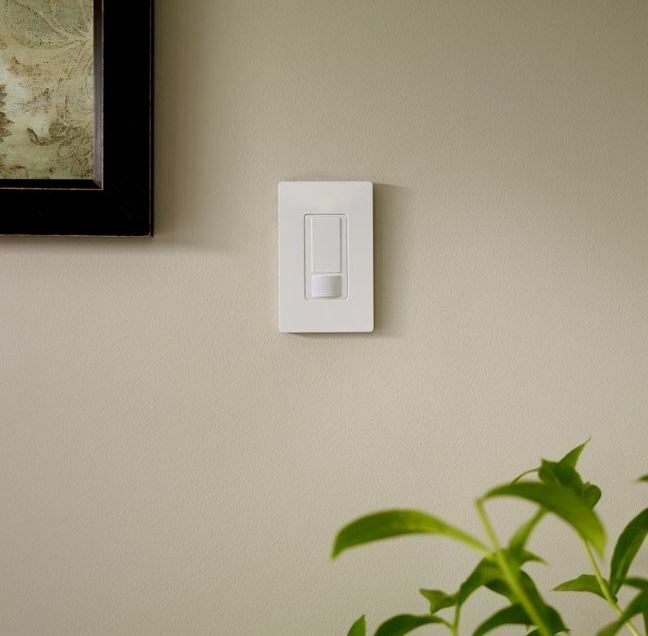 We’ve gone through and found the best motion sensor light switches on the market. First, we’ll take a look at the top three. After, we’ll help you find the one that’s best for you. 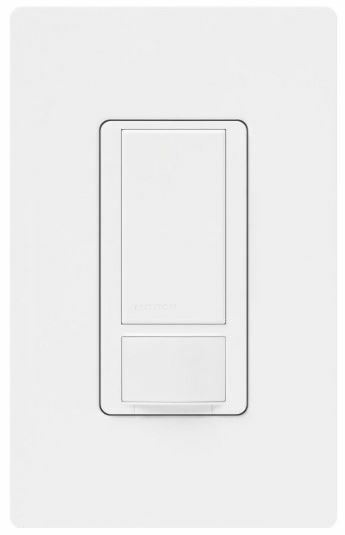 Lutron makes all kinds of switches for almost every interior lighting application. Everything from dimmers to pedestals to remote switches are available, and positively reviewed. As a veteran of the lighting industry, we knew that we could trust Lutron to make a high-quality switch. Let’s take a peek and see how it performs. 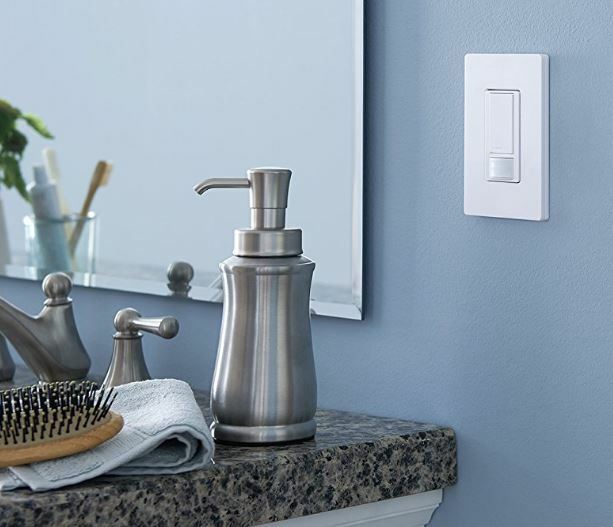 The Lutron Maestro Motion Sensor Switch is designed to look a little more modern than your standard switch. With a single elongated button and a compact sensor, it’s much sleeker than we’re used to seeing. The sensor is covered with a flat white guard, keeping its appearance subtle. You can be sure that this switch will blend in with any interior décor, and won’t draw unnecessary attention. The Lutron Maestro uses a highly-advanced sensing technology called XCT. XCT sensing is based off a technology called passive infrared. 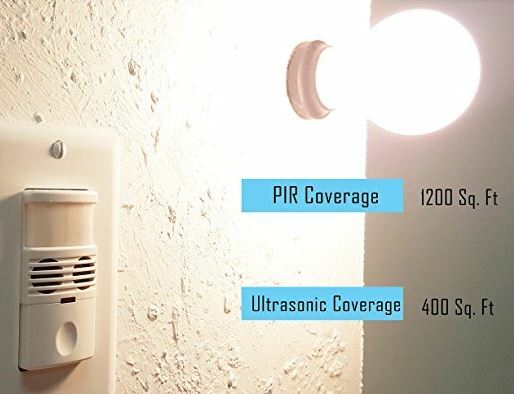 Essentially, the sensor takes inventory of the rooms current infrared signal. If this signal changes, it knows that there is motion. How does it work? Well, infrared light is invisible to the human eye. Although we can’t see it, this switch certainly can. This means that the sensor can detect motion with the same level of accuracy as a camera, putting it in a class of it’s own. Just how powerful is this sensor? This single lightswitch can cover an area of up to 900 square feet. That means that even the largest homes can take advantage of this powerful switch. This switch is capable of handling high power lighting, but still only requires a standard two point connection. It’s industrial grade circuitry can handle lighting as powerful as a 600W incandescent bulb, a 450W magnetic ballast, a 360W fluorescent light, or 3 amp fans. If your system doesn’t fit into this category, you can use any 5-amp ballast with it. It does, however, require a ground wire. Most modern households have grounding place, but if you’re in a very old house you might have to add this. There are a few bonus features included with this switch that put it light-years ahead of the competition. It has a daylight sensing feature, so your lights will only turn on when they’re needed. The manufacturer also included a handy ‘vacancy’ mode, which is accessible by hitting the large button above. Vacancy mode prevents the light from turning on when you don’t want it to. Once pushed, the light will not activate again until you once again turn off the vacancy mode. But it will still continue to turn your lights off when you leave the room. Topgreener has a large selection of light switches and outlets. Everything from high power outlets to USB charging ports are available. Their focus is on value. They often provide the same high quality products at a price much lower than the competition. Let’s take a look and see what you get with this excellent motion sensing switch. 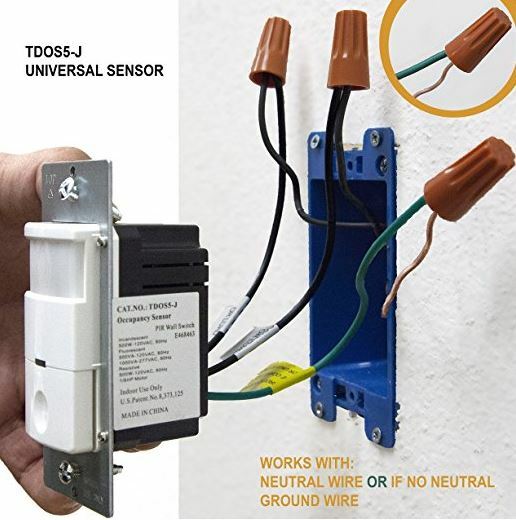 The design of the Topgreener TDOS5-J Motion Sensor Light Switch is quite standard. It does look a little different from others on the market, but you’ll have no trouble figuring it out. On the top, you’ve got the standard motion sensor. It’s domed a little bit, giving it the ability to scan an entire room. On the bottom, you’ve got the handy manual switch that allows you to change between motion detection mode, and switch operated mode. This switch has a powerful sensor that can detect motion from a long way away. It’s not quite as sensitive at detecting micro motion like the previous switch was, but it can cover an area of up to 1200 square feet. This means that it’s perfectly suited for business or industrial use, just as much as it’s suited for home applications. In our tests, we had no troubles with it automatically turning off, or having to manually force it on. It worked just as described, much to our delight. Additionally, it’s equipped with a handy little feature known as photocell. Basically, it allows the switch to determine the light level in a room. This is excellent for living rooms, bedrooms, or any part of your house that gets enough natural daylight to leave the lights off. With this feature enabled, the switch will only trigger during the day. This Topgreener TDOS5-J supports any lighting system running up to 500 watts. However, it’s simple design means that it can really be used for anything. Always forget to turn the fan off after you have a shower? Simply hook your fan up to this switch, set the auto-off for 30 minutes, and you’ll never have to worry about it again. This can help you purge the moisture from your house, without having to worry about electrical use. There are a few bonus features they’ve added onto this light switch to make your life easier. The auto-off feature can be adjusted. Once motion is no longer detected, the light will remain on for anywhere from 30 seconds, all the way up to 15 minutes. This means that the light will adapt to your exact needs, saving you both time and money. If you need the best of the best, then Enerlites will often have the product for you. They often look at a market, and figure out which corners were cut. Then, they redesign a common product with advanced technology that blows others out of the water. 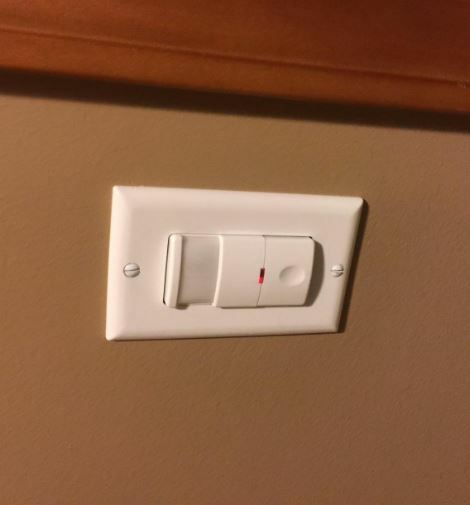 We couldn’t want to test our Enerlites automatic light switch and see how it performed. There’s nothing particularly fancy about the design of the Enerlites MWOS Dual Technology Occupancy Sensor Switch. It’s got a standard button on the bottom, your typical motion sensor on top, and then two small cutouts in the center. 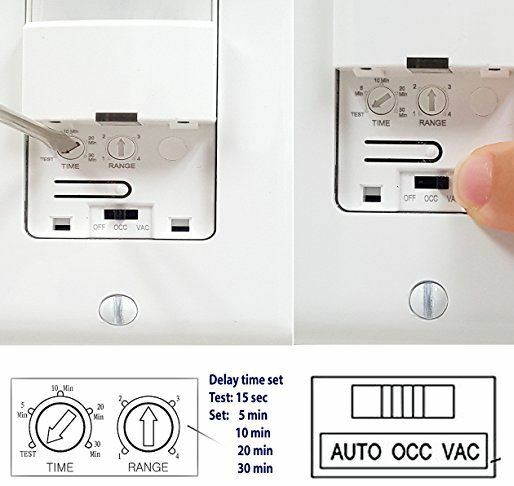 If you’ve been looking at other auto-off switches, you’re probably wondering what those are. For reasons we’ll get into later, those odd looking cutouts are what makes this the most accurate switch on the market. Beyond that, it also has a tri-color LED light that indicates whether the motion sensing system is on or off. This allows you to quickly find the light if you’ve disabled it for some reason – even in the dark. On the top is the standard infrared sensor that most motion detecting light switches use. It’s not the precision sensor that Lutron used, or the long range one that Topgreener used. Instead, they found a better solution: an ultrasonic sensor. What exactly is an ultrasonic sensor? Well, there are a number of frequencies that make up the range of possible soundwaves. But not all of these soundwaves are audible to the human ear. In fact, some of these sound waves are more commonly generated from motion, rather than speech or other types of sound. The ultrasonic sensor picks up on these waves, and can extrapolate whether motion is taking place, or if someone just left the TV on. This is one of the most accurate technologies on the market, and well worth the money. This switch is well made, and can handle a large variety of items at varying voltages and currents. In total, it can handle up to 800 watts of power running through it. One of the most notable features of this switch is the fast on/off trigger. Within a split second of you walking in the door, your lights will be on. This is surprisingly nice to have, and we feel it made a big difference. Its timer is adjustable for anything from 15 seconds to 30 minutes. But it has a second timer that we were really impressed with. “Walk through mode” is triggered when there is only a single brief period of motion. In this case, the light turns off after a maximum of 3 minutes. This way, you choose a long shutoff setting so you don’t have to worry about the light shutting off while you’re watching TV. But when you just walk through a room quickly, you won’t have to worry about wasting half an hour of electricity. Another thing you can configure is the daylight savings level. You don’t want the light to turn on when your room is already illuminated, but this level could vary for everyone. If you’re using the light for reading, then set the sensor high so it will often come on, even if it’s just a little dim. For a TV room, you can set it much lower, as a moderate light level won’t be much of a hindrance. 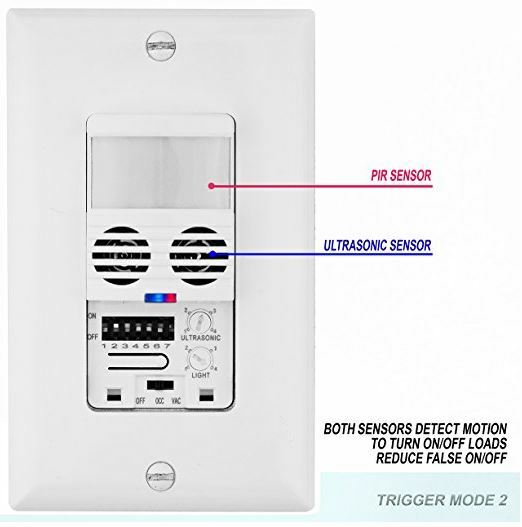 Which Motion Sensing Light Switch Should I Own? To some, these switches might all seem the same. But there are a few key differences you should be aware of. 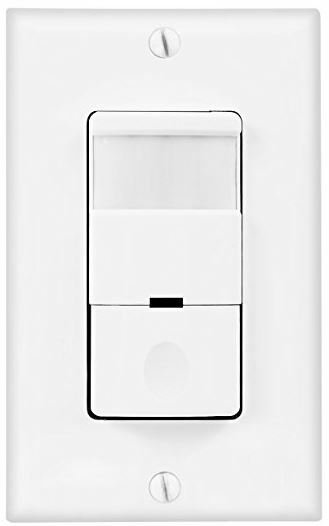 If you’re concerned about the décor of your room, you’ll probably want to purchase the Lutron Maestro Motion Sensor Switch. It’s got the best design, and can blend in anywhere. If price is a factor, the Topgreener TDOS5-J is amazingly affordable, and easy to add to any budget. For those who want the best of the best, the Enerlites MWOS Occupancy Sensor Switch is the most accurate and sensitive on the market. Even the smallest motions will trigger an immediate reaction, so you’ll never be left in the dark. When you’re installing these switches, you’ll need only a screwdriver and a few minutes of time. While you’re at it, consider checking out one of affordable USB Wall Receptacle Outlets. These handle little devices provide you with both the 120V AC outlets you’re used to, and also two 1.5V USB ports. With modern technology, these are incredibly handy to have. Very nicely done, exactly what I was looking for – thanks! “With this feature enabled, the switch will only trigger during the day.” referring to the photo cell feature of the TopGreener switch. I would like to have it motion enabled to trigger in the dark. I have an outdoor deck and want to light the approach to the doorway under the deck. 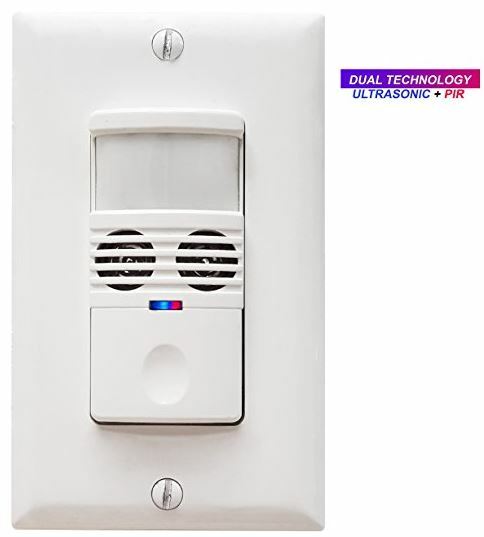 Would like to set the amount of light to turn on the motion detect sensor. Of course I do not want the motion reactive light light to go out because the photocell is triggered by the high light levels. I would like to replace a wall switch in my closet with a motion sensing switch controlling an LED ceiling fixture. Lots of switches can do that. I need a switch that I can set the turn-off delay time to about 5 seconds. When I leave the closet, I want the light to go out.. . Do you know of any such switches ?